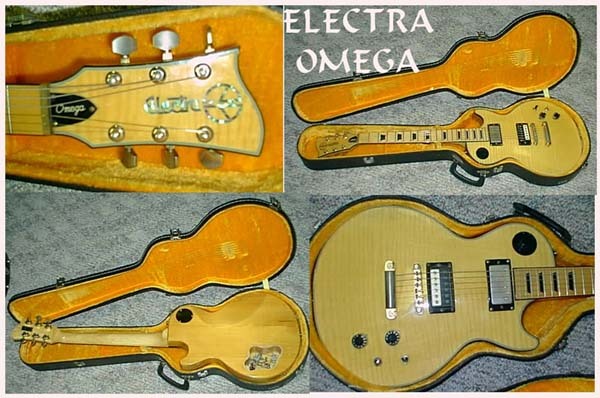 The Omega was the first Electra to carry the 5-way tone spectrum knob designed by Tom Presley that would later become a trademark of the MPC guitars. 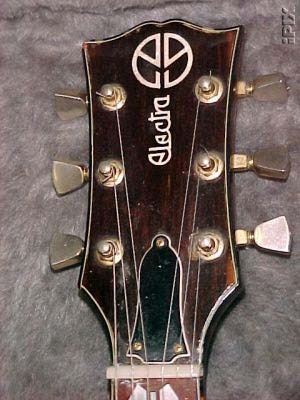 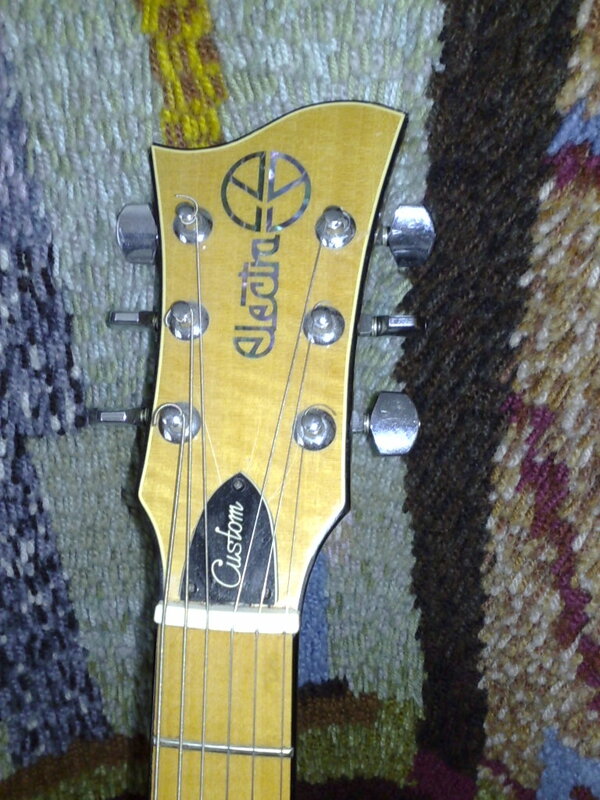 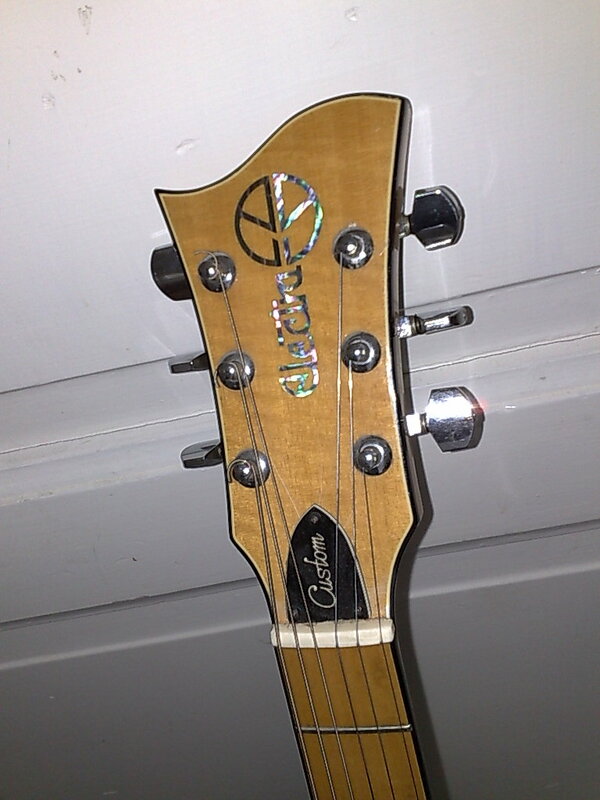 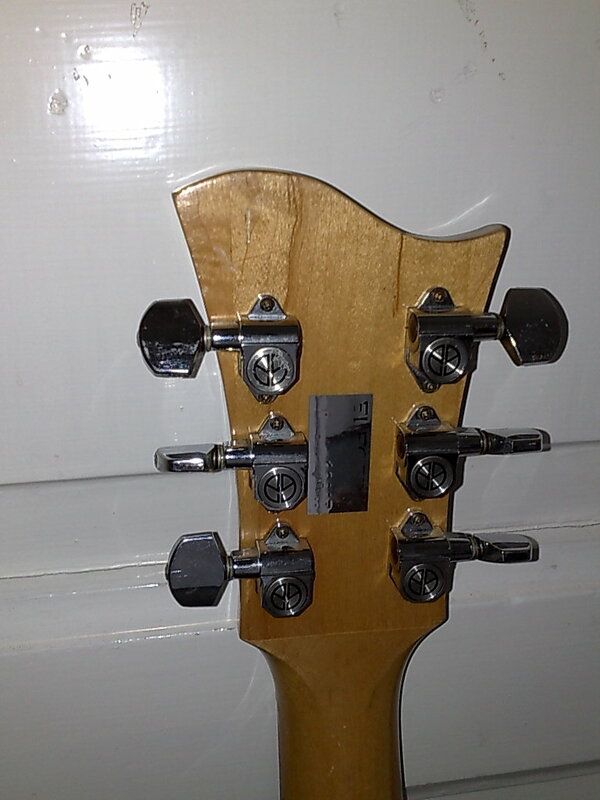 Headstock was open-book shape in 76 and fan shape for all other years. 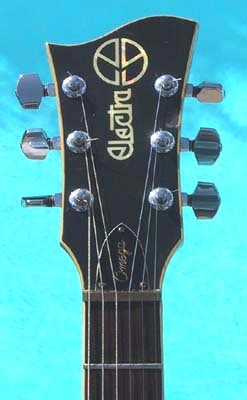 Like most Electras with a fan-shaped headstock, the Omega is believed to be made by Matsumoku. 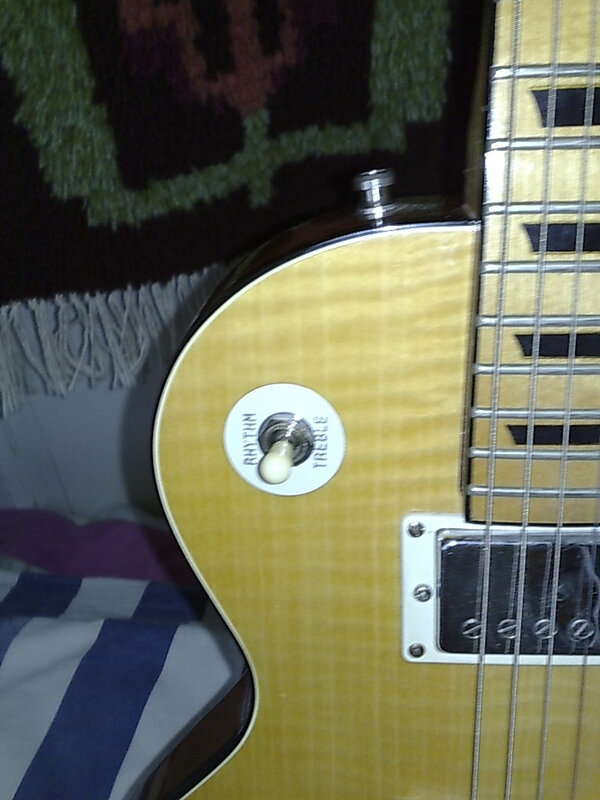 Note that this example has a 3-way switch instead of a 5-way selector knob. 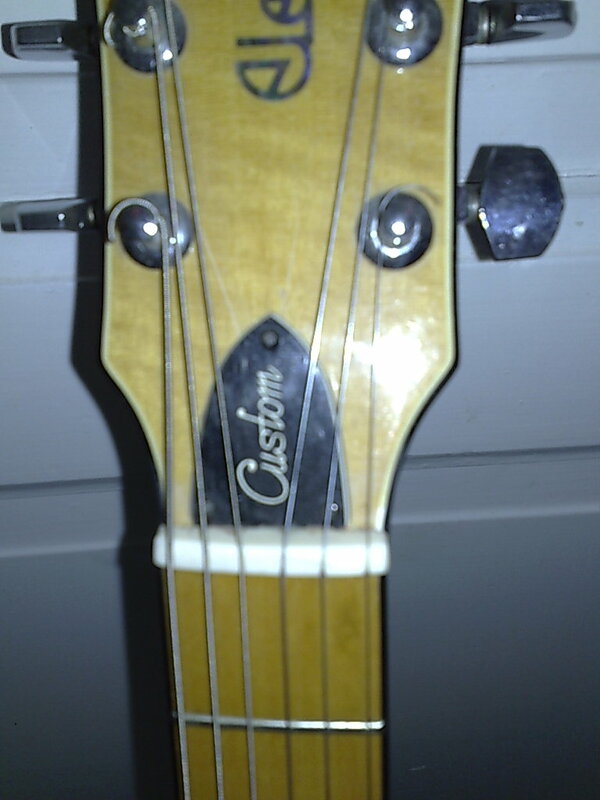 This is a fairly common variation, as many people didn't want the extra options. 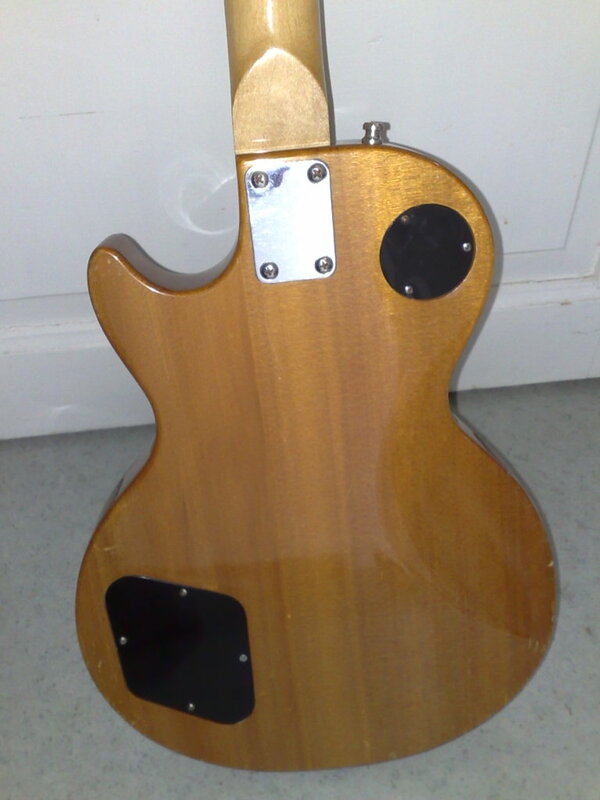 Sometimes people replaced it themselves, but it seems to have come that way from the factory sometimes too. 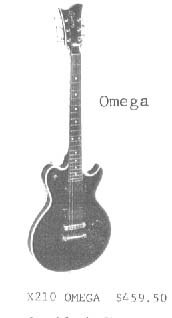 Like most Electras with a fan-shaped headstock, the Omega was believed to be made by Matsumoku. 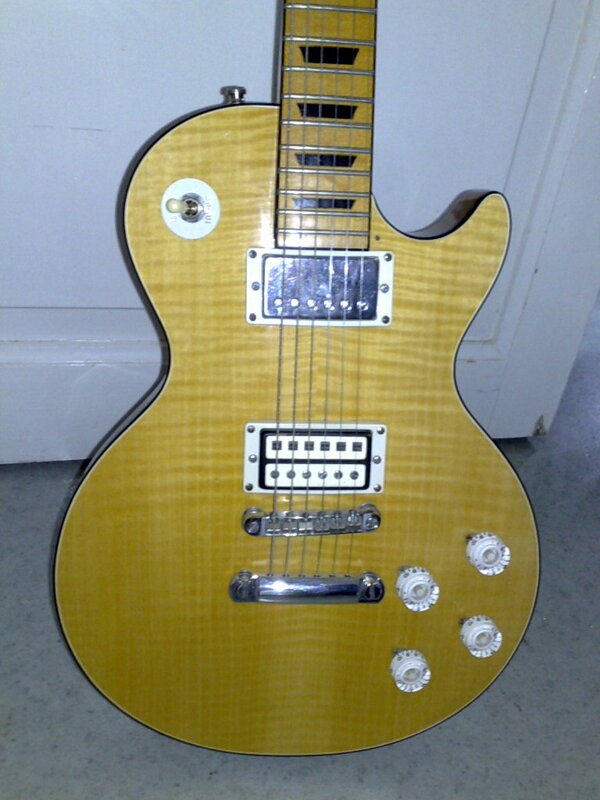 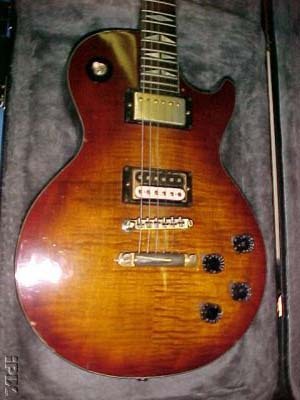 Bolt neck LP copy with flamed maple top, antique sunburst finish, rosewood faced headstock, and gold hardware. 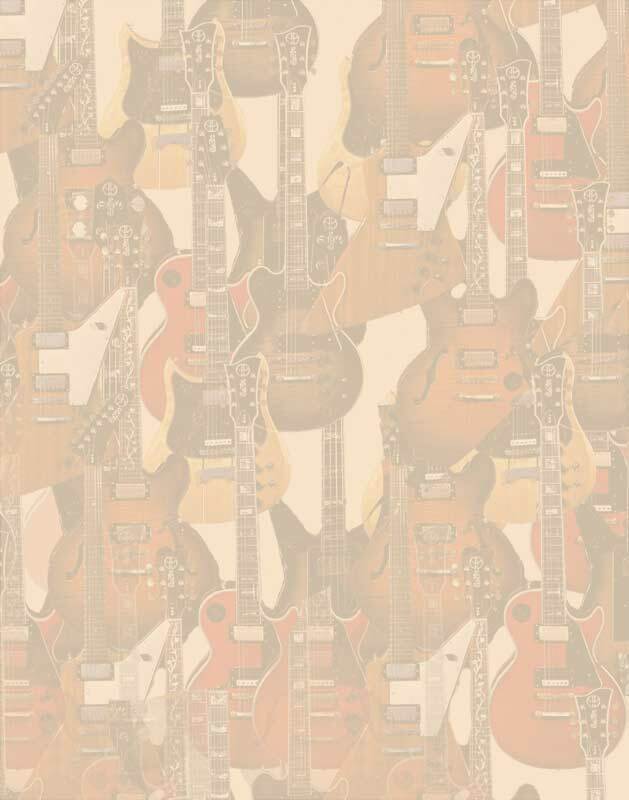 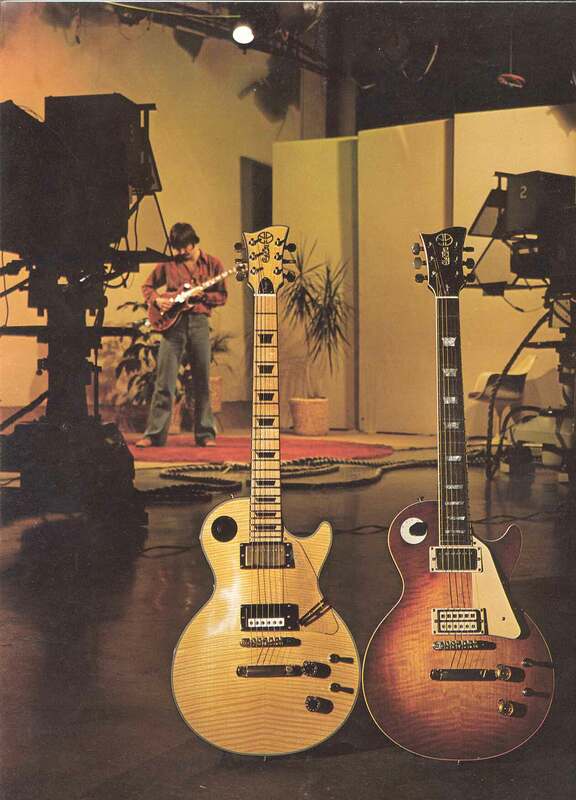 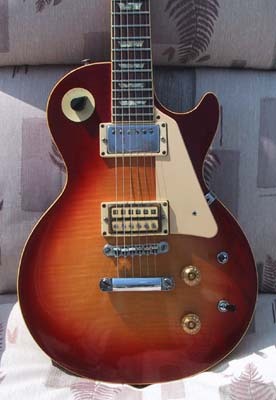 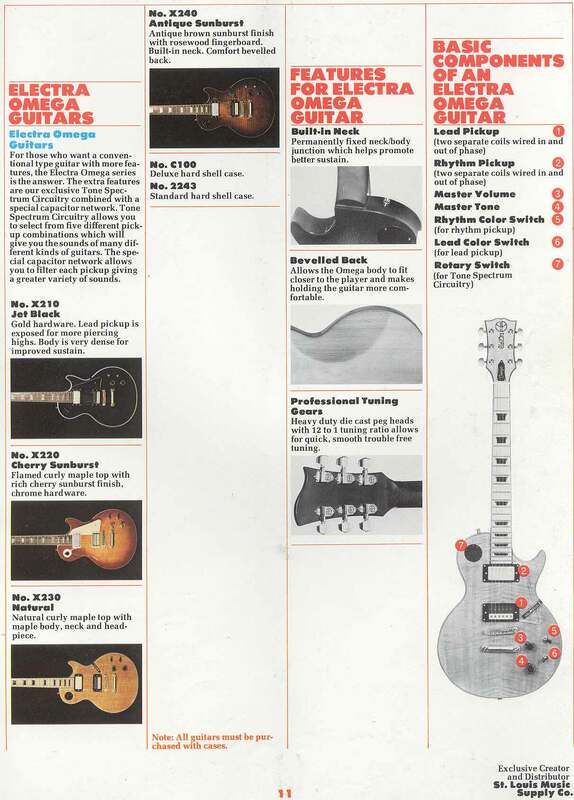 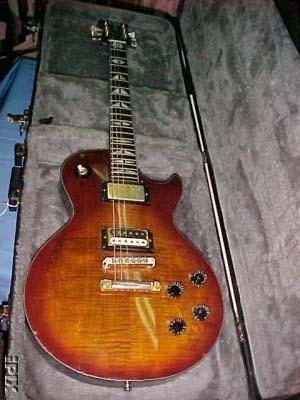 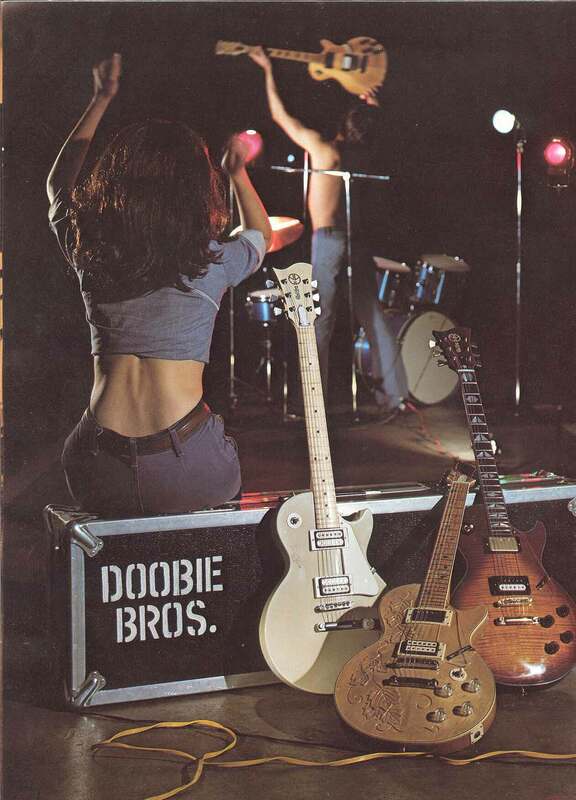 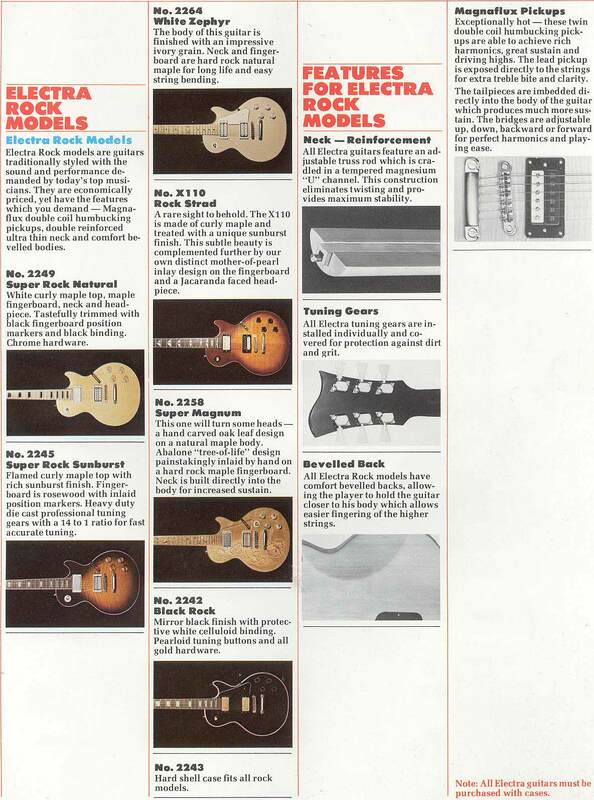 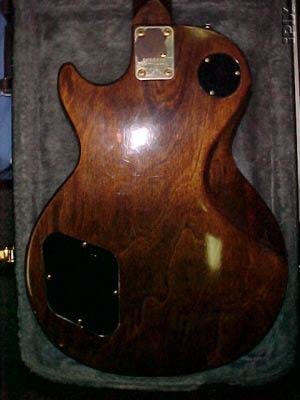 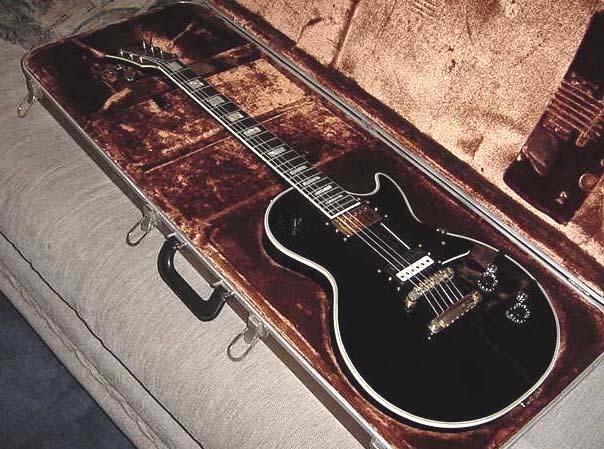 The X110 is one of a very few cases of confusion where the same model number was applied to two different guitars: X110PW and X110NA were single-pickup versions of the Electra Phoenix, a bolt-neck double cutaway quite unlike the rock strad. 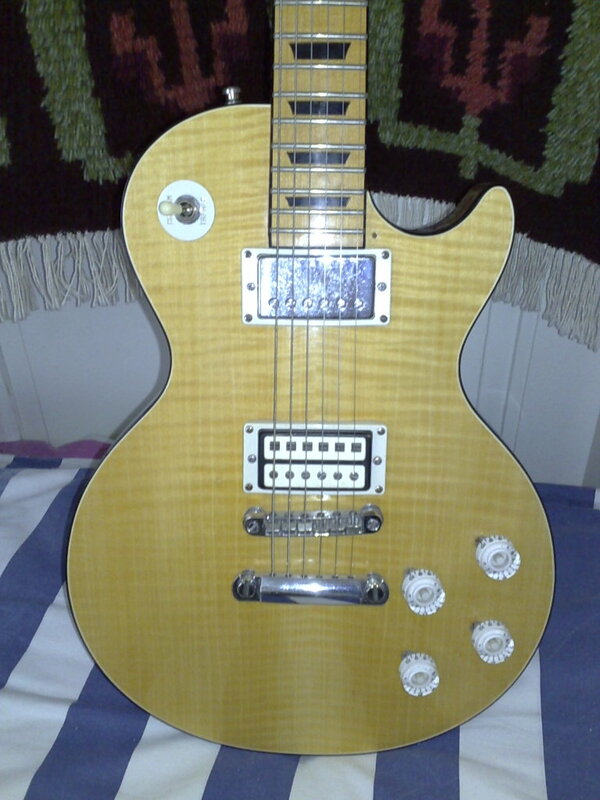 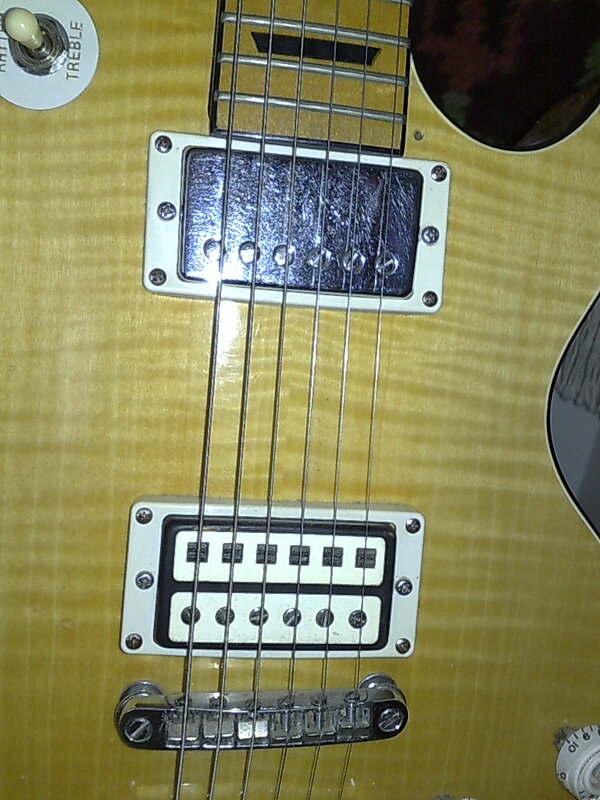 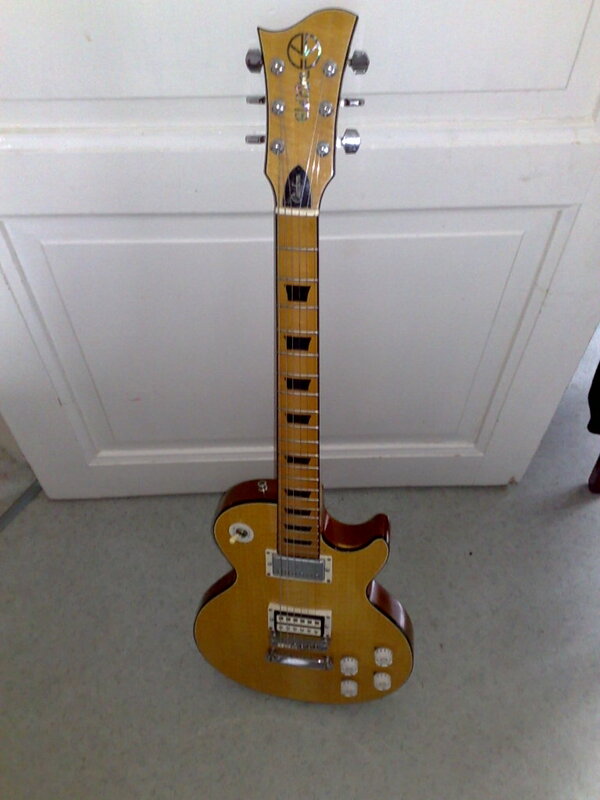 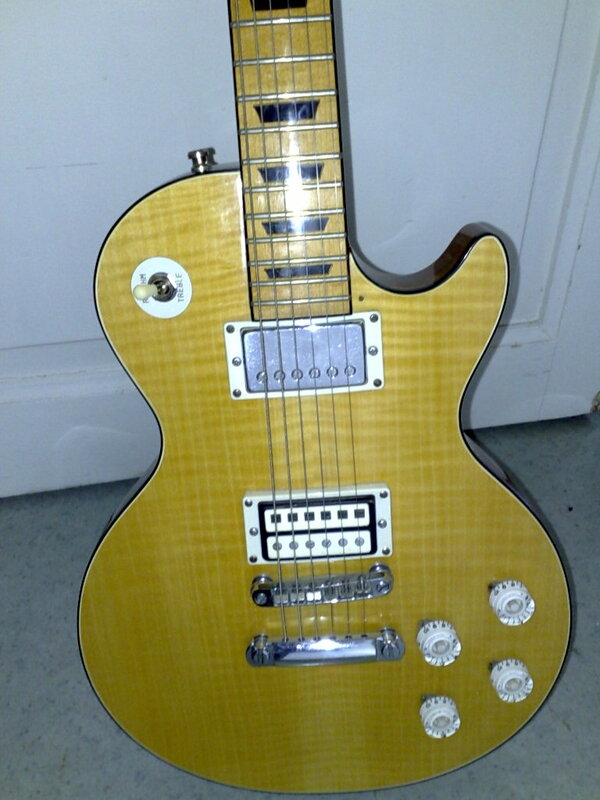 Bolt neck LP copy with transparent Ivory finish, maple neck with rosewood fingerboard, gold hardware, and a rotary selector switch for series/parallel and phase reverse options. 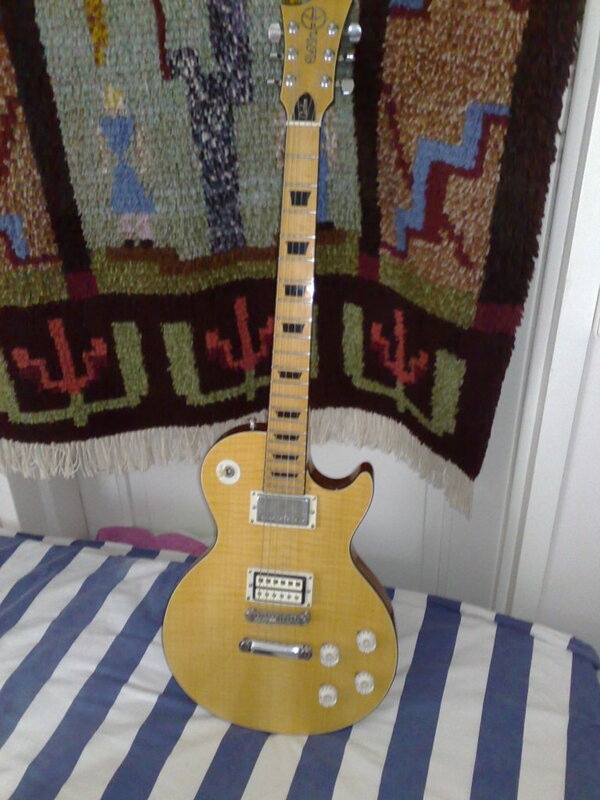 This is a later variant of the White Zephyr, with a lovely finish.